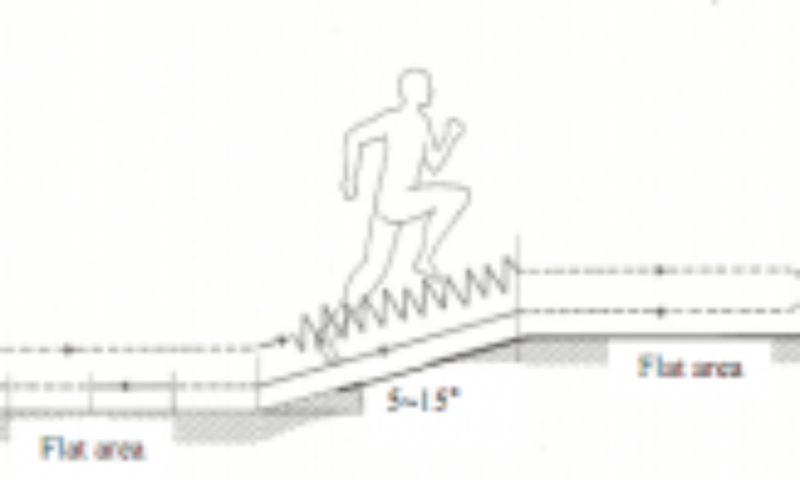 Note this hill circuits uses the format devised by Arthur Lydiard but not the original plyometric drills as ChampionsEverywhere take a different view on which plyometric drills develop the actual natural running pattern most effectively. Hill training generally, including the Lydiard hill circuit, helps the athlete transition from the aerobic phase into the anaerobic phase of training (or General Practice to Specific Practice in our system). The standard programmes only feature this workout during the dedicated phase for this work (dynamic strength) but some runners have employed it successfully much later in training to keep maintaining strength and speed. Circuits/steady relaxed uphill running and/or plyometric exercises over hills. Run a hilly course (around 10% gradient is ideal). Do not try to run fast on the uphills but rather focus on maintaining the hierarchy of movement: posture, rhythm and relaxation. Athletes who have received training on our “Running form’ courses (see below) can add in plyometric drills such as two and one-legged uphill jumps with proper posture. It’s best not to attempt these without coaching. Practice running efficiently on the downhills with high leg turnover and strong posture so that your front leg lands directly under the body. This requires a holding a strong spine and not letting your head drift forward. Run tall and minimise braking. Do “relaxed strong uphill running”, or plyometric drills (if you have been coached) up the hill. Run easily until recovered at the top. Stride down fast but in control. Run 3 x150 meter (approx) strides (slightly faster than your fastest aerobic pace) with full easy recovery running between. If the hill is short, do these stride-outs only every 15 minutes. 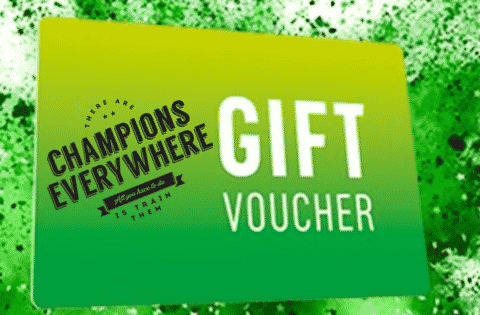 Experienced competitors can do easy repetitions (200m stride, 200m run etc.) at the bottom. Beginners can just trot gently at the bottom with no added sprints. It does not have to be a circuit. The concept is to perform some resistance work in the form of steep hill running, springing and bounding, followed by some recovery running. If you can include some striding down the hill, or striding on the flat, that makes it even more complete. Proceed cautiously as poor technique on the ascent or descent can be very demanding on the body. If you are not used to this kind of exercise proceed slowly by doing just relaxed uphill running with focus on strong posture and no drills. On your first session always do one hill set only or about 20 minutes. Add one hill each session until you reach a maximum of 4 or total duration of about an hour. Make sure that you include a good warm-up and cool-down on the top of the suggested time duration. Don’t concentrate on the number of repeats; do as many repeats as the time allows. On your first session, it may be just one uphill in 20 minutes but that’s okay. Add one hill each session until you reach 3 or 4; or total time of about an hour. When doing plyometric exercise, your rhythm should be neither too fast or too slow to minimise muscle action and maximise your body’s natural elastic properties. A rhythm of 120 jumps/minutes (two-legged) or 176-184 (one-legged) is ideal. 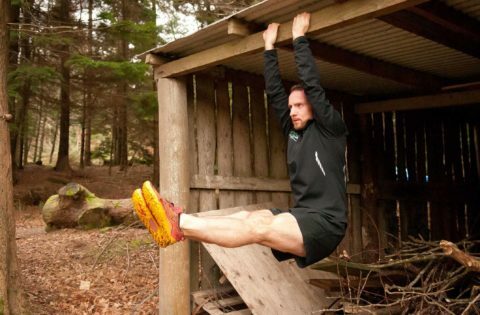 On the downhill learn to use gravity efficiently by increasing your leg turnover while keeping your thoracic spine strong and active (and your head back!). Relaxation is key here. Think: “Pull and relax”. Never think about landing. The uphill running can be varied, instead of running or doing plyometrics each time, wary it as you wish. 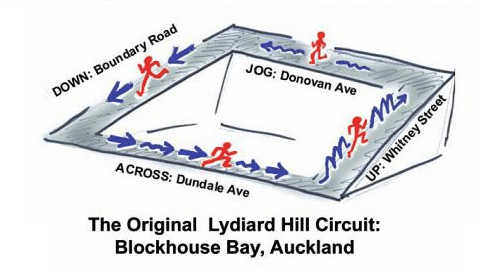 Elite competitors can extend the length of the hill to similar dimensions of the original hill circuit used by Arthur Lydiard for his Olympians in Auckland: a loop of 1.9 miles; an 800m long uphill for relaxed strong running and plyometrics, 800m flat on the top for recovery jog, 700m downhill for fast relaxed striding; with another 800m flat at the bottom where “Arthur’s boys” did some wind sprints (leg speed strides) or easy repetitions. Peter Snell recorded times as fast as 1:44 for his “fast relaxed” striding on 800m segments doing this training. 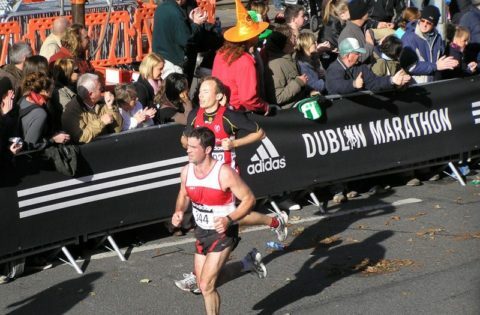 Running too fast up the hill rather than concentrating on form. You should not get tense! Running too hard up the hill and getting into too much oxygen debt. This is not desirable in this phase of training. Putting more stress on the legs than they are ready for with too much plyometrics or downhill running and getting injured. Precipitating your peak with repeated speed bursts. Some people tend to develop speed very quickly once they start doing the hill circuit. If this is the case, go very easy with downhill striding and on the stride-outs. You’ll still have plenty of time to develop speed to maximum. Premature speed development would only lead to premature peaking and this should be avoided. Lydiard cautioned that after about 2 weeks in this phase your legs could feel very tired and you may feel you’re actually slower. This is normal and will pass in the last 2 weeks of the phase. Pain in hips, calves, posterior tendons, knees, shins and feet are all signs that you are doing the exercise incorrectly and with poor form. 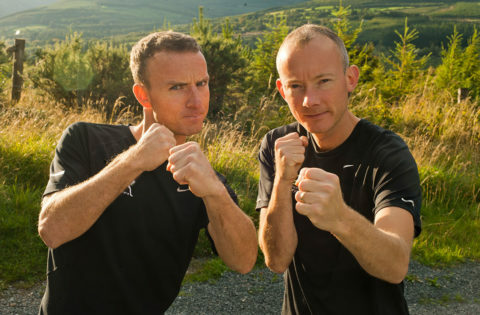 Hill running: runs over aerobic terrain, particularly when done at reasonable aerobic effort or as a fartlek, can reduce the need to include hill circuits as a dedicated workout. Mountain runners and other runners who regularly run on this type of terrain tend to showcase greater leg strength particularly in the quadriceps and hamstrings. Slow uphill and downhill running will not provide the same benefits in terms of power and flexibility however. Plyometrics: the hill circuit aims to introduce power and flexibility into your strides (scientifically speaking, stimulating your type 2B fast twitch muscle fibres). A workout consisting of “plyometric” drills such as single-leg hops, squat jumps, box jumps and similar exercises such as those we teach on natural movement can substitute for this session. Insert these drill sessions on the same days you would have done your hill circuit and buffer them with easy jogging if you can. Stair running: if you don’t have a hill to run on you may be able to find a stadium or some other building with steps and stairs on which you can do the workout. The downhill section would have to be replicated by doing fast strides with exaggerated movement on the flat. Terrain: ideally you need a hill of 200-800m length, depending on ability, with a flat stretch at the base of the hill and at the top. The gradient should be somewhere between 5-15 degrees and the surface should be even and provide reasonable traction. In dry conditions, grassy hills are very suitable as they will reduce the impact on your legs.